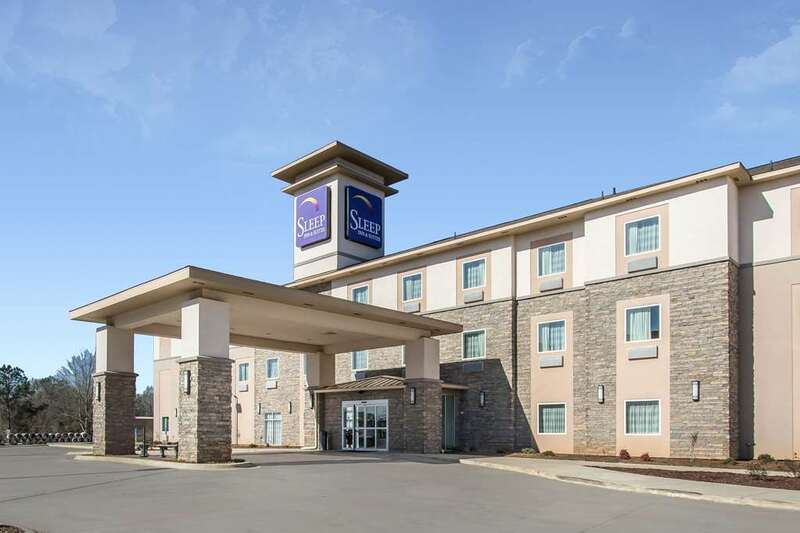 The pet-friendly Sleep Inn and Suites hotel in Meridian, MS will give you a simply stylish experience. We are located right off Interstates 20 and 59 near Bonita Lakes Park, Key Field Air National Guard Base, Bonita Lakes, MSU Riley Center, Mississippi State University-Meridian and the Silver Star Casino. Enjoy free continental breakfast, free WiFi, free coffee, guest laundry facilities, meeting space, a business center, picnic area, free weekday newspaper and an exercise room. Your guest room offers warm, modern designs, and includes cozy beds, fluffy pillows, TVs and more. Also, earn rewards including free nights and gift cards with our Choice Privileges Rewards program.